So 2013 has started. 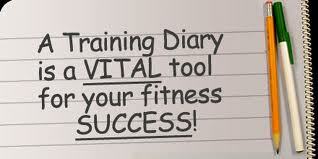 Week 1 and its time for me to get in gear and on the road to achieving some of my stated goals for the coming year. Week 1 my main aim was to get kick started again. For the past 2 years I've done the 5k Resolution Run in Renmore in Galway, this year it moved to a new route in the City. Unfortunately the little lad had been ill with what we found out to be an ear infection so I missed it this year. I got out instead for my own New Year's run. Back onto one of my favourite run routes from last year. Definitely going to be my testing ground for FTP for the season. With no ill effects from Tuesdays run, biggest run in months, I was hoping to get out again today but opted for a nice little treadmill run instead. Much slower than I though and really strange compared to road running but there you go, that's why I love road. With Edel & the kids away for the night I decided to go for an evening run with my headlight. Same route as Tuesday, just not as far. Awake early so I decided to give the turbo a visit. I've been a bit demotivated about the turbo on account of any excuse so it was time to make peace with it. Set myself up, before any breakfast with Miami Vice: Season 3 on the DVD and just rolled out a session. Jumped off the bike and onto the treadmill for an interval run session. I struggled with the HR strap all the way through this so it made a complete joke of the data. Hard to call the intervals so I warmed up at 8km/hr and did incremental interval to have a 'look-see': 12 / 12.5 / 13 / 13.5 / 14 / 12 with recovery of 8km/hr each time. Out on the road bike for a change of scenery and dose of freshair. Nothing dramatic here, all about trying to keep the HR stable and below my threshold calculation of 144bpm, my fat burning zone.